...This year's schedule of TCM Big Screen Classics, nationwide digital screenings hosted by Fathom Events, has been announced. 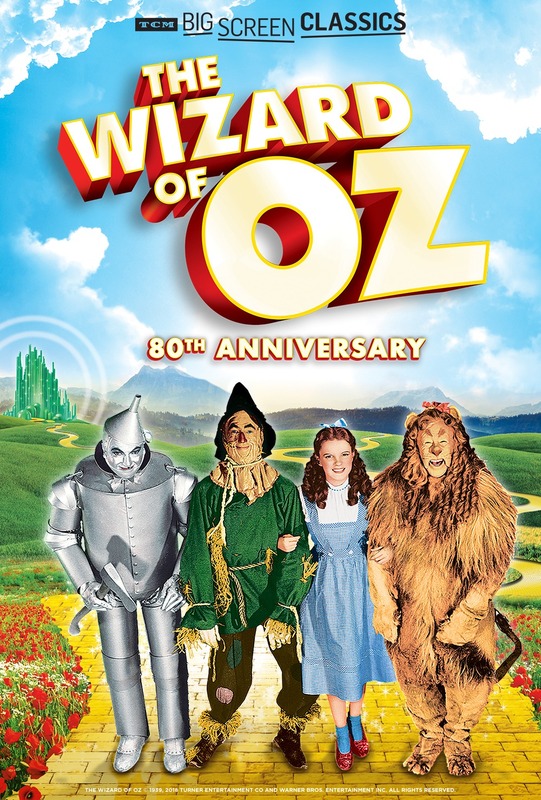 The series kicks off later this month with an 80th Anniversary screening of THE WIZARD OF OZ (1939). Other films in the series include MY FAIR LADY (1964), BEN-HUR (1959), TRUE GRIT (1969), and WHEN HARRY MET SALLY (1989). The complete schedule is here. ...Last month additional titles were announced for the 2019 TCM Classic Film Festival, including OPEN SECRET (1948), MARTY (1955), and what's billed as a "U.S. Premiere Restoration" of WINCHESTER '73 (1950). I last saw WINCHESTER '73 half a decade ago in a gorgeous 35mm print at UCLA, and I would love to see it on a big screen again. ...More film festival news: The Noir City San Francisco schedule was announced last month. The festival takes place January 25th through February 3rd. 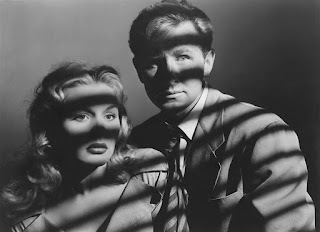 Interesting titles include TRAPPED (1949) with Lloyd Bridges and Barbara Payton (seen here), THE FILE ON THELMA JORDON (1950), PUSHOVER (1954), and NIGHTFALL (1957), all of which I'm very much hoping will show up at the Noir City Hollywood Festival, which opens March 29th. ...Glenn Erickson has posted his annual list of favorite Blu-ray/DVD releases of the past year. ...Radio Spirits recently had a nice tribute to character actress Jeanette Nolan. ...I thoroughly enjoyed the four-part Netflix cooking documentary SALT FAT ACID HEAT, based on the cookbook by Samin Nosrat (seen at left), and recommend it. 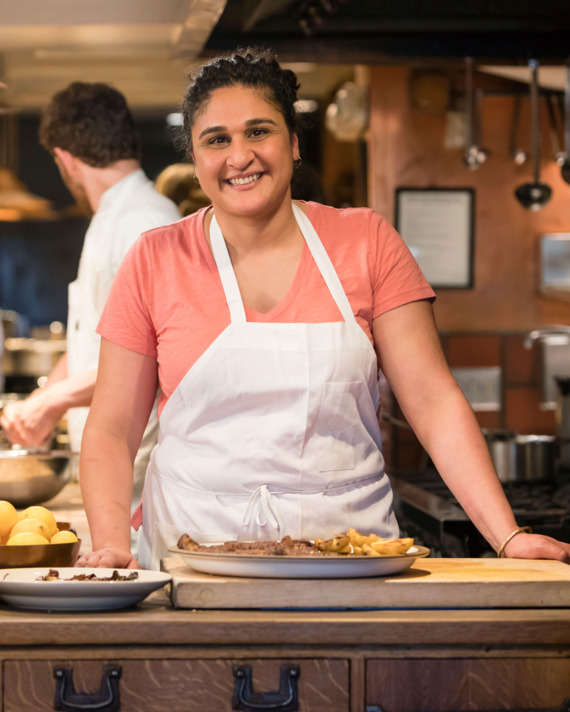 I'm planning to make Nosrat's Buttermilk Roast Chicken this month! Last month NPR interviewed Nosrat about the show. ...At Classic Film Observations & Obsessions Jocelyn has a nice piece on the friendship of Alan Ladd and Anthony Caruso. 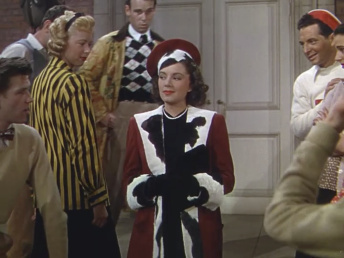 Ladd was loyal to his friends, who repeatedly show up in his films. ...Longtime classic film blogger Monty Hawes of All Good Things has a new movie podcast. ...Warner Media plans three tiers of service when it launches its streaming platform in late 2019. 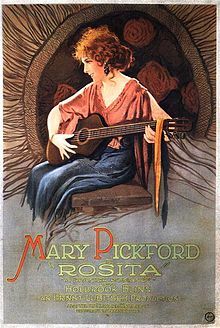 ...Jan-Christopher Horak has written about the restoration of ROSITA (1923), a Mary Pickford film directed by Ernst Lubitsch, at the UCLA Film & Television Archive website. It played at the Egyptian Theatre in Hollywood last month but I was unable to attend, so I hope it will be screened again in the L.A. area soon! ...I enjoyed the PSA video Tom Cruise made against "motion smoothing" on hi-def TVs. I hope the campaign to no longer have this be the factory default setting on TVs is effective. As I mentioned in a roundup here back in 2013, learning about that issue -- and how to prevent it -- was a bit overwhelming when we had to shop for our first hi-def TV. ...Hollywood's American Legion Post 43 has had a wonderful makeover. 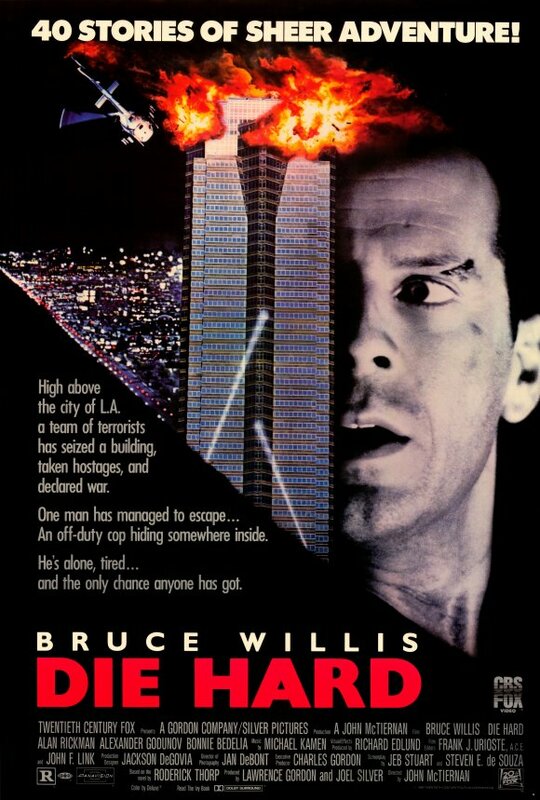 ...From Jeremy Arnold for The Hollywood Reporter: "What Defines a Christmas Movie? Discuss." I reviewed Jeremy's book CHRISTMAS IN THE MOVIES here last month. ...At his Iverson Movie Ranch blog, Dennis Liff has documented what was lost at the Paramount Ranch due to November's Woolsey Fire. ...Cohen Media Group has purchased the Landmark Theatres chain. 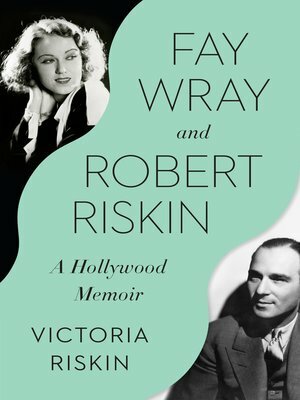 This seems like good news, as Charles S. Cohen has a serious interest in film; the Cohen Film Collection has restored films including Hitchcock's JAMAICA INN (1939). Cohen hosted the JAMAICA INN screening I attended in 2017. ...Congrats to fashion historian Kimberly Truhler of GlamAmor, who's appearing in a CNN documentary series this month, AMERICAN STYLE. ...Another L.A. area blogger, Kim Luperi, has shared her memories of her famous boss in Stan Lee: Just a Regular Guy. ...Attention Southern Californians: The 2019 UCLA Festival of Preservation will be held at the Billy Wilder Theater this year over a single long weekend, February 15-17. I've attended many screenings at the last four festivals, which are held every other year and to this point have been spread over about a month, but I confess I'm a bit dubious about how this new format will work. Unlike Cinecon, where I feel most of the films appeal to the same audience, the diversity of the Festival of Preservation programming might work against an all-day/all-weekend format. I'm very interested in certain titles but would have to navigate around others which I don't care to see. Not to mention that screenings start as late as 11:20 p.m. -- I know Cinecon titles have started near 11:00 but wonder if one has ever started that late? I may decide to wait and hope that the titles of greatest interest, such as TRAPPED (1949), show up at other festivals; TRAPPED seems likely to play at Noir City Hollywood since it's the opening night film at Noir City San Francisco. In any event, I'll post more info on the festival here next month! ...More for Southern Californians: This March UCLA will feature a terrific five-night series, "Fay Wray + Robert Riskin," in conjunction with Victoria Riskin's new book about her parents, FAY WRAY AND ROBERT RISKIN: A HOLLYWOOD MEMOIR. The book will be published by Pantheon in February, and I'm pleased to announce I'll be reviewing it here. I'll also have complete details on the movie series posted here at the beginning of March. ...More Notable Passings: Patricia Marshall, who had a significant role in the classic MGM musical GOOD NEWS (1947), has passed away at 94. Marshall, seen at right in GOOD NEWS, was the widow of Larry Gelbart, a force behind TV's M*A*S*H...Busy working actress Channing Chase passed away in October, but her obituary did not appear in the Los Angeles Times until December...Michele Carey, who appeared in Howard Hawks' EL DORADO (1967) and costarred with Elvis in LIVE A LITTLE, LOVE A LITTLE (1968), has died at 75...Character actor Ken Swofford, a familiar face for decades, passed on at 85. Those of us who loved the short-lived ELLERY QUEEN TV series in the '70s remember him as Frank Flannigan, and I also particularly remember him from several episodes of THE ROCKFORD FILES...Character actor Herb Ellis, whose career went back to 1950, died at 97. Ellis collaborated with Jack Webb on creating DRAGNET and appeared in the first few episodes of the TV series as well as much later episodes. ...For more links on classic movies and more, please check out my November 3rd news roundup. Sorry to hear about Michele Carey's passing, which actually occurred back in November. Liked her in those movies you mentioned, plus a couple TV appearances I have on DVD ("Mission Impossible" and "F.B.I."). Sad, interesting, and fun news. Thanks for the updates. My sister's mother-in-law is thrilled about BEN-HUR in theaters, but I had to break it to her that I'll be in Hollywood that Sunday, so they'll all have to see it without me. The initial announcements for the TCMCFF didn't thrill me much (I couldn't care less about WHEN HARRY MET SALLY), but the more titles that are announced, I better I feel about my decision to attend. WINCHESTER '73 is exciting, and I'd love to see a nitrate, whatever it might be. Thanks to you all for the comments! Glad I could share a bunch of new -- although I regret the sad news, of course. Set, I hope you'll enjoy TCMFF! My experience is that I am rarely especially enthused about the initial TCMFF announcements, which are often films which have been widely seen (especially by people who have access to classic film screenings year-round). WINCHESTER '73 got my attention for sure; I'm excited at the prospect of seeing it again! For me much of the excitement comes when the final schedule is announced and I discover the lesser-known titles I'll be seeing for the first time, like last year's THIS THING CALLED LOVE (1940) as one example.